Michael Ansara, who played Deputy Marshal Buckhart on the TV show Law of the Plainsman, Cochise on the TV show Broken Arrow, and made an large number of guest appearances on other shows, died on 31 July 2013 at the age of 91. 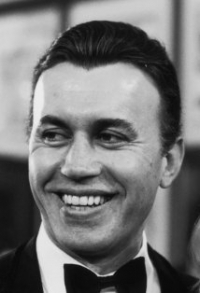 Michael Ansara was born in Syria on 15 April 1922. He immigrated to the United States with his parents when he was two years old. He attended Los Angeles City College with the intent of becoming a physician, but while there became interested in acting. He graduated from Los Angeles City College with a Bachelor of Arts degree, and then studied acting at the Pasadena Playhouse in Pasadena, California. He made his film debut in an uncredited part in Action in Arabia (1944). He went onto small roles in such films as Intrigue (1947), Queen Esther (1948), and Kim (1950). Mr. Ansara made his television debut in an episode of Family Theatre in 1951. During the Fifties he starred in two prime times television series. He appeared as Cochise in Broken Arrow, which ran from 1956 to 1958, and then as Deputy U.S. Marshal Sam Buckhart in Law of the Plainsman, which ran from 1959 to 1960. He guest starred on such shows as China Smith, Terry and the Pirates, The Lone Ranger, Dragnet, Medic, Alfred Hitchcock Presents, Hawkeye and the Last of the Mohicans, Frontier Doctor, Zane Grey Theatre, Naked City, The Rifleman (on which the backdoor pilot for Law of the Plainsman appeared), The Westerner, and The Untouchables. He appeared in such films as My Favourite Spy (1951), Brave Warrior (1952), The Golden Hawk (1952), The Lawless Breed (1953), Julius Caesar (1953), The Robe (1953), The Saracen Blade (1954), Sign of the Pagan (1954), Jupiter's Darling (1955), Abbott and Costello Meet the Mummy (1955), Diane (1956), The Lone Ranger (1956), The Ten Commandments (1956), and The Sad Sack (1957). In the Sixties Michael Ansara appeared on such shows as Tales of Wells Fargo, Wagon Train, The Farmer's Daughter, Burke's Law, Perry Mason, The Outer Limits, Rawhide, Ben Casey, The Man From U.N.C.L.E., Lost in Space, Bewitched, The Virginian, Daniel Boone, Gunsmoke, The Fugitive, Star Trek, It Takes a Thief, The High Chaparral, and I Dream of Jeannie. He appeared in such films as Voyage to the Bottom of the Sea (1961), The Comancheros (1961), The Confession (1964), The Greatest Story Ever Told (1965), Harum Scarum (1965), And Now Miguel (1966), Texas Across the River (1966), The Destructors (1968), Daring Game (1968), Guns of the Magnificent Seven (1969), and The Phynx (1970). In the Seventies Mr. Ansara guest starred on such shows as The Mod Squad, Bearcats, Hawaii Five-O, The Streets of San Francisco, Mission: Impossible, McMillan and Wife, Police Story, Barbary Coast, McCloud, Kojak, Vega$, and Buck Rogers in the 25th Century. He appeared in such films as Dear Dead Delilah (1972), Stand Up and Be Counted (1972), The Doll Squad (1973), The Bears and I (1974), It's Alive (1974), The Message (1977), Day of the Animals (1977), and The Manitou (1978). In the Eighties Michael Ansara found a new career voicing animated cartoons. During the Eighties his voice appeared on such animated series as Thundarr the Barbarian, Spider-Man and His Amazing Friends, and Rambo. He appeared on such TV shows as Simon & Simon; Days of Our Lives; Hunter, The Fall Guy, Hardcastle and McCormick, Mike Hammer; and Murder, She Wrote. He appeared in the films The Guns and the Fury (1981), Bayou Romance (1982), Access Code (1984), KGB: The Secret War (1985), Knights of the City (1986), and Border Shootout (1990). From the Nineties into the Naughts Michael Ansara guest starred on the shows Babylon 5 Star Trek: Deep Space Nine, and Star Trek: Voyager. He provided the voice of Mr. Freeze in the animated series Batman: The Animated Series, The New Batman Adventures, and Batman Beyond, also providing the voice of Dr. Freeze for the films Subzero and Batman Beyond: The Movie, as well as the video game Batman: Vengeance. He appeared in the film The Long Road Home (1999). Although he was Syrian in birth, Michael Ansara was one of the many actors in Hollywood who was called upon to play just about any role belong to an ethnicity that was Northern European in descent. Over the years he played Native Americans (indeed, his two lead roles on TV shows were both Natives), Mexicans, Arabs, and Pacific Islanders (indeed, he played King Kamehameha, the historic Hawaiian king, on an episode of I Dream of Jeannie). With his great height (he stood 6' 3") and a booming voice, he also played a good number of heavies over the years. Indeed, among his most famous roles was that of Klingon commander Kang on various Star Trek shows. Despite this, there can be no doubt that Michael Ansara was a very versatile actor. While he was very good at playing villains, it must be noted that his two lead roles on TV shows (Broken Arrow and Law of the Plainsman) were both heroes, and he excelled in both. What is more, although he rarely got to display it, he had a gift for comedy. One of his most memorable roles for me was that of Rufus the Red, the enemy of one of Darrin's Irish ancestors, on Bewitched. It can be little wonder why Michael Ansara was so prolific as an actor. With his singular appearance and a talent to play nearly any role, it is not surprising as to why he was so much in demand during his career. 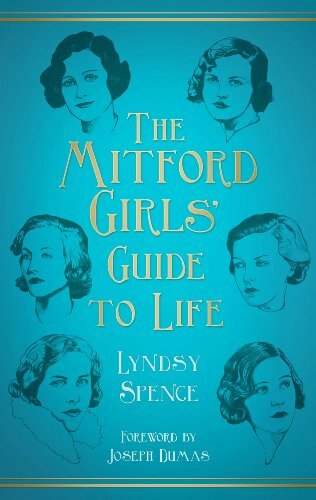 I want to congratulate my friend Lyndsy Spence on the publication of her first book, The Mitford Girls' Guide to Life. It was released in the United Kingdom yesterday. It will be published in the United States on 1 November later this year. The Mitford Girls' Guide to Life is a unique look at the famous Mitford Sisters (whose number included author Nancy Mitford and muckraking journalist Jessica Mitford), applying the lives of the famous Mitford girls to modern life. If you would like to learn more about The Mitford Girls' Guide to Life and Miss Spence's other projects, I interviewed her this past June: An Interview with Lyndsy Spence, Author of The Mitford Girls' Guide to Life .She also runs the Mitford Society, an online community devoted to the famous sisters, which can be found on Facebook as well as its own blog. Miss Spence isn't only an author, but she is also a screenwriter. She co-wrote the short "The Flower Girl", which is due to come out in the United Kingdom this September. A script she wrote for a feature film is also currently in development. You can check out Lyndsy Spence's IMDB profile here. Actress Eileen Brennan, who appeared in such films as The Last Picture Show and Murder by Death, died 28 July 2013 at the age of 80. The cause was bladder cancer. Eileen Brennan was born on 3 September 1932 in Los Angeles, California. She attended Georgetown University in Washington, D.C., and then trained in acting at the American Academy of Dramatic Arts in New York City. Her first major role was in the off-Broadway production Little Miss Sunshine in 1959. She made her Broadway debut in The Student Gypsy in 1963. Her television debut was a production of The Star Wagon that aired on NET in 1966. She made her film debut in Divorce American Style (1967). In the Sixties she was a regular on the television show Rowan & Martin's Laugh-In. She made guest appearances on the TV shows The Ghost & Mrs. Muir and The Most Deadly Game. On Broadway she appeared in Hello, Dolly. In the Seventies Miss Brennan appeared in such films as The Last Picture Show (1971), Scarecrow (1973), The Sting (1973), Daisy Miller (1974), At Long Last Love (1975), Hustle (1975), Murder by Death (1976), The Cheap Detective (1978), and Private Benjamin (1980). She was a regular on the television shows All That Glitters, 13 Queens Boulevard, and A New Kind of Family. She guest starred on the shows All in the Family, McMillan & Wife, Jigsaw, Insight, and Visions. In the Eighties she appeared in the films Pandemonium (1982), The Funny Farm (1983), Clue (1985), The New Adventures of Pippi Longstocking (1988), Sticky Fingers (1988), Rented Lips (1988), Going to the Chapel (1988), It Had to Be You (1989), Stella (1990), Texasville (1990), and White Palace (1990). She was a regular on the shows Private Benjamin and Off the Rack. She guest starred on the shows Taxi, The Love Boat, Magnum P.I., Newhart, and The Ray Bradbury Theatre. 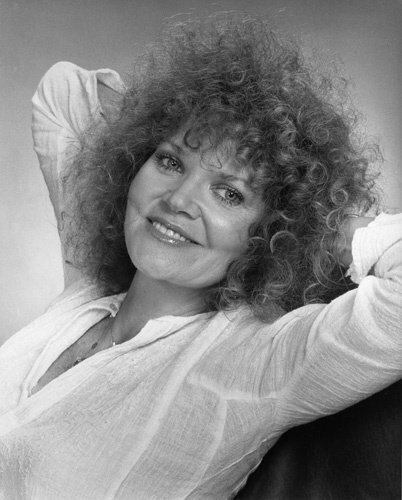 In the Nineties Eileen Brennan appeared in such films as Joey Takes a Cab (1991), I Don't Buy Kisses Anymore (1992), Nunzio's Second Cousin (1994), Reckless (1995), Boys Life 2 (1997), Changing Habits (1997), Pants on Fire (1998), and Moonglow (2000). She guest starred on the shows Blossom, thirtysomething, American Dreamer, Home Improvement, Murder She Wrote, Walker Texas Ranger, ER, Mad About You, and Touched by An Angel. From the Naughts into the Teens she appeared in the films Jeepers Creepers (2001), Dumb Luck (2003), Miss Congeniality 2: Armed and Fabulous (2005), Peanut Butter (2007), The Kings of Appletown (2009), and Naked Run (2011). She guest starred on such shows as Arli$$, Strong Medicine, 7th Heaven, and Will & Grace. Eileen Brennan was an immensely talented actress with a gift for both comedy and drama. She could play almost anything, from the jaded waitress in The Last Picture Show to hard as nails Captain Lewis in Private Benjamin to grande dame Mrs. Peacock in Clue. Over the years she was nominated for an Oscar and for multiple Emmys, and with good reason. Few actresses of her time were as talented as Eileen Brennan. Today Joe E. Brown is probably best known for his role as millionaire Osgood Fielding III in Some Like It Hot (1959). That having been said, by the time of his appearance in that classic, he had already had a long career. Starting out as a tumbler, he had performed in circuses and on Vaudeville since he was nine years old. Over time he incorporated comedy into his act, until eventually he was a comedian rather than a tumbler. As a comedian he proved very successful. Of course, seeing success as a comic naturally meant Hollywood would come knocking on his door, and he made his film debut in the short "Twinkle, Twinkle" in 1927. With the drama Crooks Can't Win in 1928 he made his feature film debut. It was with the comedy Hit of the Show that Joe E. Brown received his first leading role. While only classic film buffs might remember his movies today, Joe E. Brown was one of the most popular comic actors of the Thirties and Forties. Films such as The Tenderfoot (1932), Alibi Ike (1935), Earthworm Tractors (1936), and The Gladiator (1938) proved very successful at the box office. In tribute to Mr. Brown on his birthday, here are a few of his appearances. The first is the "Little Mousie" routine from Bright Lights (1935). Next up is Joe E. Brown and Jackie Robinson in a segment from the show I've Got a Secret. Messrs. Brown and Robinson had something in common: they were both professional baseball players at one time or another! And last, here is Joe E. Brown's musical routine, "I Faw Down, Go Boom".